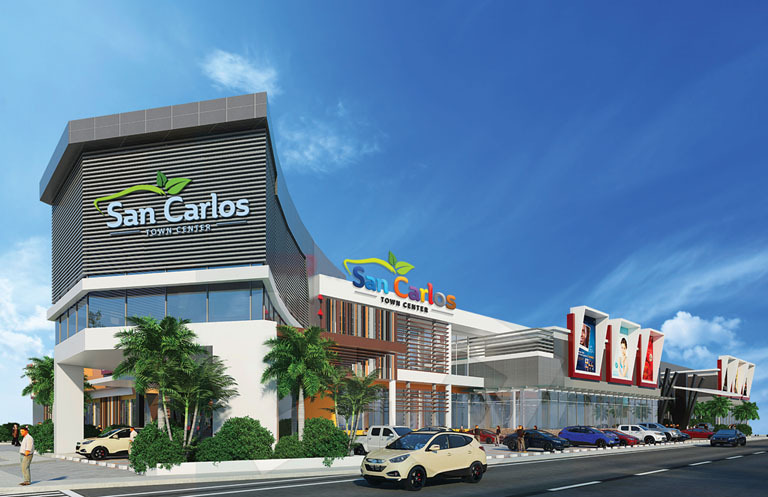 San Carlos Town Center is the newest commercial hub in the fast- growing city of San Carlos, Pangasinan. Located at the junction of Rizal Avenue and Zamora Street, this 20, 000 square meter architectural masterpiece will serve a million potential customers with an estimated buying capacity of more than 1 billion pesos coming from nearby residential areas, academic institutions such as Virgen Milagrosa University Foundation, Pangasinan State University, San Carlos College, Central College of Pangasinan; Hospitals such as, Pangasinan Doctors Hospital, Virgen Milagrosa Medical Center, Pangasinan Provincial Hospital; Government offices such as Land Transportation Office, San Carlos City Municipal Hall; and many other establishments. San Carlos Town Center guarantees a whole new level of customer satisfaction with its retail option such as broad selection of local fashion brands to delight San Carlos’ trendsetters, choice of restaurants that offers wide variety of food, a gaming arcade, and anchor stores like Centro Department Store that boasts convenience features for the shoppers, Robinsons Supermarket that offers an impressive array of imported items from Western to Asian selection, Handyman and Robinsons Appliance.